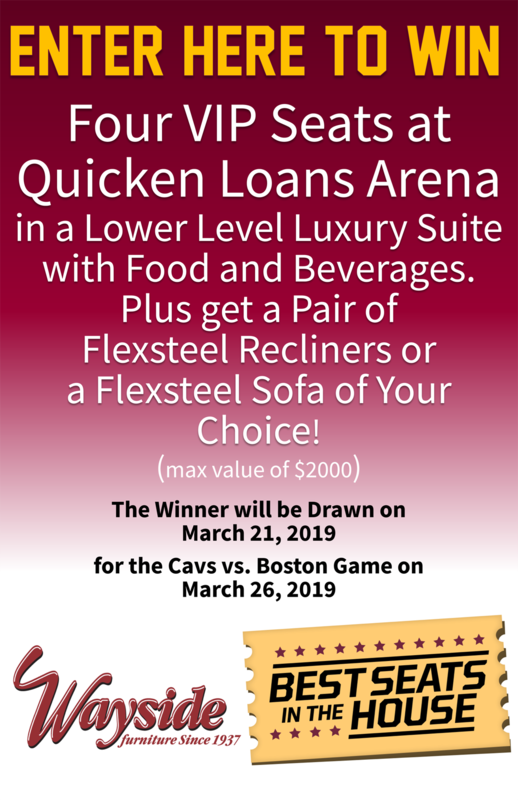 "Enter to win the "Best Seats in the House" at Quicken Loans Arena! No Purchase necessary. Contestants must be 21 years or older. A random drawing will be held on March 21, 2019 for the March 26, 2019 Cleveland Cavaliers vs Boston Celtics game. Winner need not be present for the drawing. Employees, family members or associates of Wayside Furniture, and FoxSports Ohio are not eligible.